Last week TASS reported Russia’s western-most ICBM division will be rearmed with the RS-24 Yars missile system. Yars is a MIRV-equipped, thermonuclear, intercontinental ballistic missile that can reportedly carry up to 10 independently targetable warheads. The ICBM RS-24 Yars constitutes the backbone of Russia’s strategic missile force. “The westernmost strategic missile force division in the Tver region will soon begin to be rearmed with the missile system Yars. 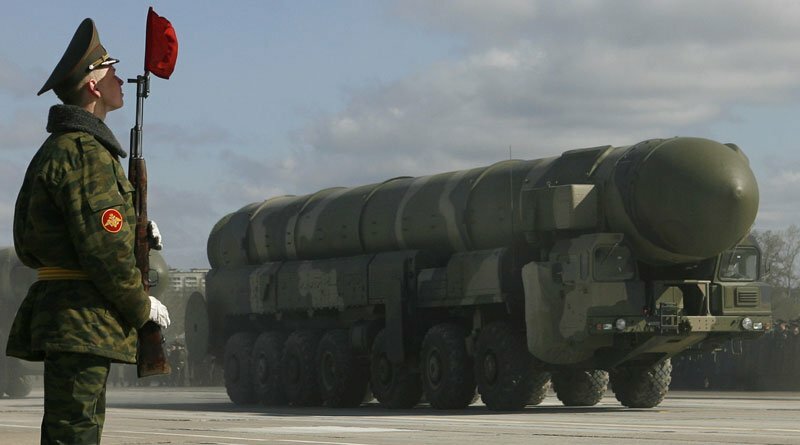 It will be a sixth strategic missile division where the newest mobile ground-based missile complexes will replace the intercontinental ballistic missile Topol,” Sergey Karakayev, the commander of Russia’s Strategic Missile Force told the news agency. The Russians claim the deployment is in response to NATO installing a US anti-missile system in Eastern Europe in violation of previous Russian-US arms treaties. The United States has made the outrageous claim its missile system is designed to respond to threats from Iran. “Now, after the deployment of those anti-missile system elements, we’ll be forced to think about neutralizing developing threats to Russia’s security,” Russian President Vladimir Putin said in May. Putin added that the US anti-missile systems currently in place in Romania and soon in Poland can be easily repurposed to fire short and mid-range missiles. Russia announced it would modernize a launch detection system in response to the threat along its border. It has also discussed stationing its state-of-the art Iskander missiles at its westernmost Baltic outpost of Kaliningrad which borders NATO members Poland and Lithuania. The Iskander travels at hypersonic speed and is capable of evading anti-ballistic missiles. In addition to missiles and nuclear warheads, NATO and Russia have engaged in massive war games this year. NATO’s Anakonda 2016 exercise involved more than 30,000 troops, about half of them Americans, and thousands of combat vehicles from 24 nations. The huge exercise simulated battle maneuvers across Poland. A simultaneous naval exercise, BALTOPS 16, simulated “high-end maritime warfighting” in the Baltic Sea. Exercises were conducted in the waters near Kaliningrad, the Russian enclave between Poland and Lithuania. The maritime exercise represented a clear provocation. “All of this—the aggressive exercises, the NATO buildup, the added US troop deployments—reflects a new and dangerous strategic outlook in Washington. Whereas previously the strategic focus had been on terrorism and counterinsurgency, it has now shifted to conventional warfare among the major powers,” Michael T. Klare wrote for The Nation in July. 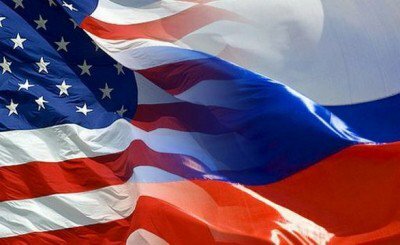 “Washington might intend the military buildup as pressure on President Putin to reduce Russian opposition to Washington’s unilateralism. However, it reminds some outspoken Russians such as Vladimir Zhirinovsky of Hitler’s troops on Russia’s border in 1941,” notes Paul Craig Roberts. “To make the crisis clear for my readers and for all peoples, Washington is surrounding Russia with nuclear missile sites that can be silently converted from ABMs to first strike nuclear missiles that can reach Russian targets in a mere few minutes. Washington attempted to disguise this first strike capability with the explanation that the missiles were there to protect against an Iranian ICBM attack on Europe. This explanation was given by the US government despite the fact that everyone knows that Iran has neither ICBMs nor nuclear weapons,” he writes on his website. Roberts, a former Assistant Secretary of the Treasury for Economic Policy and associate editor of the Wall Street Journal, is not optimistic about what such frenzied military activity portends. He believes it is futile for Americans to plan for retirement. Hillary Clinton will undoubtedly continue along this suicidal path. Donald Trump has said repeatedly he will not confront Russia. However, he has announced if elected the United States will expand its already massively inflated military budget.